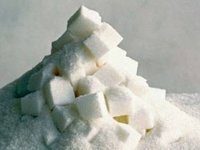 Sugar production in Ukraine as of November 20, 2017 amounted to 1.49 million tonnes. According to the Ukrtsukor National Association of Sugar Producers, as of the indicated date 46 sugar factories were operating in the country, which have processed 10.53 million tonnes of sugar beets. As reported, the new season of sugar production in Ukraine began on August 30. According to the association's forecasts, in the current marketing year (MY) sugar production will amount to approximately 1.9 million tonnes, exports could reach about 500,000 tonnes. Production of sugar in the 2016/2017 MY was 2 million tonnes. The areas under sugar beets in 2017 amounted to 318,000 hectares.